WASHINGTON — A controversial Pentagon directive that would allow transgender men and women to join the military beginning this summer now faces indefinite delay as senior leaders within each of the services voice lingering concerns about the Obama-era policy intended to end discrimination but dismissed by critics as social experimentation. This development, confirmed to Military Times by multiple sources with knowledge of these internal discussions, comes as the Defense Department faces a July 1 deadline to fully implement a policy that one year ago lifted the ban on transgender personnel already in uniform, and established the conditions and timeline by which new applicants could join either through enlistment or as officer candidates. A Pentagon directive to allow transgender men and women to join the military faces indefinite delay, as leaders from each of the services express apprehension. The Obama-era policy targeted what the former president considered discrimination. But many in the military have criticized it as social experimentation. And while President Trump has reversed course on other transgender initiatives, there’s been no change to the policy allowing transgender troops already serving to do so openly. DoD faces a July 1 deadline to start accepting transgender applicants. 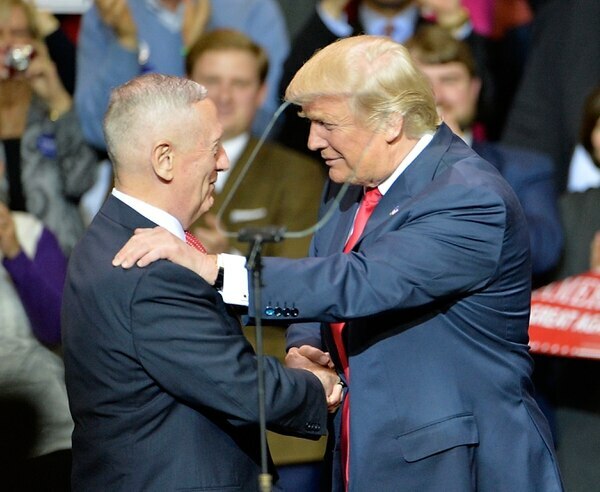 Defense Secretary Jim Mattis will rule on the issue soon. President Donald Trump does not sharehis predecessor's view on transgender rights, while plenty in the ranks and inside the Pentagon have questioned the practicality of expending such effort to accommodate a comparatively small demographic. Those advocating for inclusiveness have suspected for many months that the administration could bring about the initiative's demise simply by declining to act upon it. It's unclear how Defense Secretary Jim Mattis eventually will rule on the matter, though in the past he has cast doubt on whether such moves ultimately advance the military's principal national security objectives. In early May, his deputy distributed a memoto the services' top leaders affording them an opportunity to raise concerns about the policy's implementation. As first reported by USA Today, the memo was carefully crafted to explain that plans would proceed "unless they cause readiness problems that could lessen our ability to fight, survive and win on the battlefield." A Pentagon spokesman, Army Lt. Col. Myles Caggins, would not address the prospect for delaying transgender accessions, saying only that there's been no change to existing military policy allowing transgender troops already serving to do so openly. "And," he added, "just like their fellow service members, [they may] receive all medically necessary care." Spokespersons for each of the services referred questions to Caggins. The Army and the Marine Corps have been most vocal in advocating for a delay, according to one military official who, like others, spoke with Military Times on the condition of anonymity because the matter remains predecisional and extremely sensitive. No firm decisions have been reached, the official added, and senior leaders will continue to discuss the matter with Mattis's office as the deadline draws near. Another defense official indicated that a host of practical matters, not institutional opposition, are fueling calls for a delay. "We had several questions for OSD seeking clarification on aspects of the policy that have not been addressed yet," said this official, referring to the Office of the Secretary of Defense. "It's not that we're unsupportive or unwilling to implement it; just that there were administrative matters to be addressed." Funding also is a concern, this official said. The services had sought an undisclosed sum for related facilities upgrades, including, it appears, to retrofit group showers and make other unspecified accommodations within communal living spaces. "That funding," the official said, "did not come through." The Defense Department estimates as many as 7,000 transgender troops serve in the active-duty force of 1.3 million. As Mattis's predecessor, Ash Carter, sought to define accommodations for them, he encountered significant internal resistance among longtime civilian staff who believed the military's uniformed leadership did not support the change, a former Pentagon official told Military Times recently. At its most extreme, this individual said, there were calls to require transgender troops to wear bathing suits while using communal showers. President Donald Trump speaks with Defense Secretary Jim Mattis after a Memorial Day ceremony at Arlington National Cemetery on May 29, 2017. 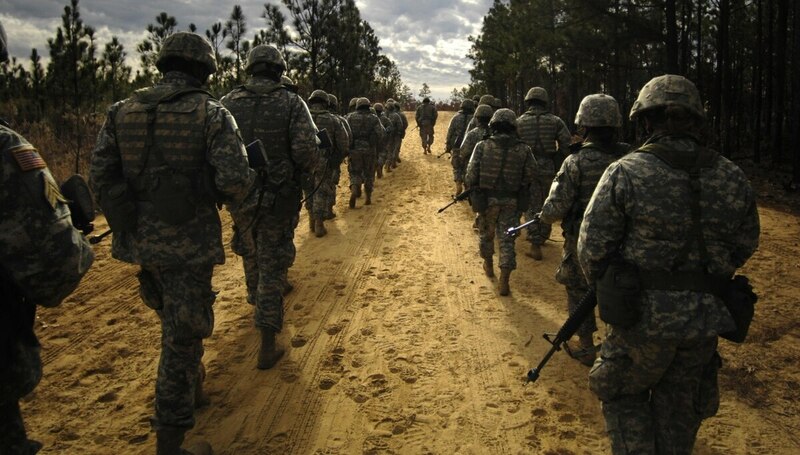 Beyond those considerations, military officials are apprehensive about whether some transgender recruits or officer candidates could experience psychological side effects associated with their gender dysphoria. Last June, Carter indicated the accession policy would require individuals to have completed any necessary medical treatment and to have been "stable in their identified gender for 18 months, as certified by their doctor, before they can enter the military." As the Pentagon has debated the issue, officials have examined how other government agencies initiated such change. The Federal Aviation Administration, for instance, requires transgender men and women seeking a commercial pilot's licence to be transitioned and stable for at least five years. Otherwise, they can face closer scrutiny and more-intrusive medial screenings, according to the FAA’s website. A leading LGBT advocacy group called any delay "unacceptable." In a statement, Ashley Broadway-Mack, president of the American Military Partner Association, said it would send a "deeply alarming signal" from the Trump administration. "Thousands of transgender service members are openly and proudly serving our nation today," the statement reads, "and there is no reason not to move forward with the timeline as planned now for nearly a year. Any applicant, regardless of gender identity, who is qualified and willing to serve should be allowed to do so." It's the latest in a series of related developments since Mattis took over at the Pentagon in January. Most recently, officials informed two transgender cadets set to graduate from the Army and Air Force military academies that they would not receive commissions and be allowed to serve on active duty. Over the winter, the Pentagon quietly rolled backed protections concerning bathroom and locker room access for transgender students attending Defense Department schools. A directive issued last year after an incident in Germany, granted full access to transgender students’ preferred facilities with no questions asked. Now school principals — in consultation with students, their parents and teachers — address such matters case by case, as they had done previously.